Assam Agricultural University recruits Project Assistant, JRF/SRF Posts. 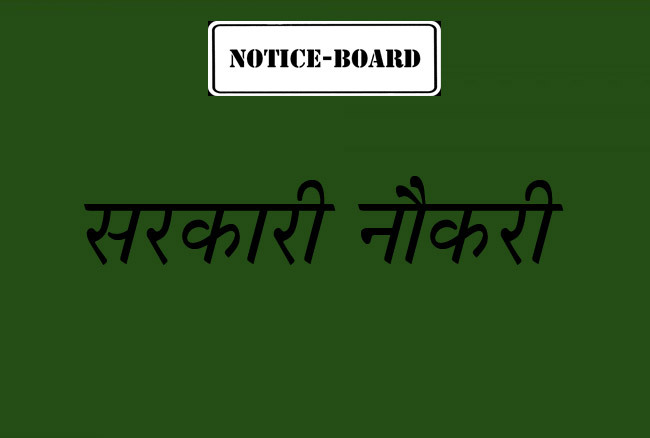 Candidates with B.F.Sc./ B.V.Sc./ B.Sc., M.V.Sc., M.Sc. experienced can apply. About Assam Agricultural University (AAU) Assam Agricultural University is the first institution of its kind in the whole of North-Eastern Region of India. The main goal of this institution is to produce globally competitive human resource. Konkan Railway Corporation Limited (KRCL) recruits Accounts Assistant, Senior Clerk, Goods Guard, Station Master, Assistant Public, Relations Officer, Deputy Chief Engineer posts. Candidates with NCVT/SCVT, CCAA, Graduate, BBA/HR, MBA/HR, B.Com, CA / ICWA / MBA experience can apply. About Konkan Railway Corporation Limited (KRCL) The Konkan Railway was the missing link between India’s commercial capital. National Academy of Agricultural Research Management (NAARM) recruits Program Associate Post. Candidate with M.B.A , M.Sc., M.A. experience can apply. About National Academy of Agricultural Research Management (NAARM): The ICAR-National Academy of Agricultural Research Management (NAARM) was established by the Indian Council of Agricultural Research in 1976 at Hyderabad. The major mandate of the Academy. Indian Institute of Technology Delhi (IITD) recruits Project Associate, Project Assistant, Project Attendant, Project Scientist, JRF, SRF, Sr. Project Assistant posts. PhD, Graduate, MBA, B.Tech, M.Tech, M. Planning, 12th passed experienced candidate can apply. About Indian Institute of Technology Delhi (IITD) The Indian Institute of Technology Delhi is a public research university located in Delhi. CanFin Homes Ltd recruits Junior Officers Post. Degree experience candidate can apply. About CanFin Homes Limited: CanFin Homes Ltd, set up under the sponsorship of Canara Bank, was incorporated in the year 1987, “The International Year of Shelter for the Homeless”.The main objective of setting up the company was, promoting home ownership and as well. Staff Selection Commission (SSC) recruits Combined Graduate Level Examination Posts. Graduate, Post Graduate, CA, MBA, M.Com candidates can apply. About Staff Selection Commission (SSC) : The Estimates Committee of the Parliament, in its 47th Report (1967-68), recommended the setting up of a Service Selection Commission for conducting examinations for recruitment to lower categories of posts.